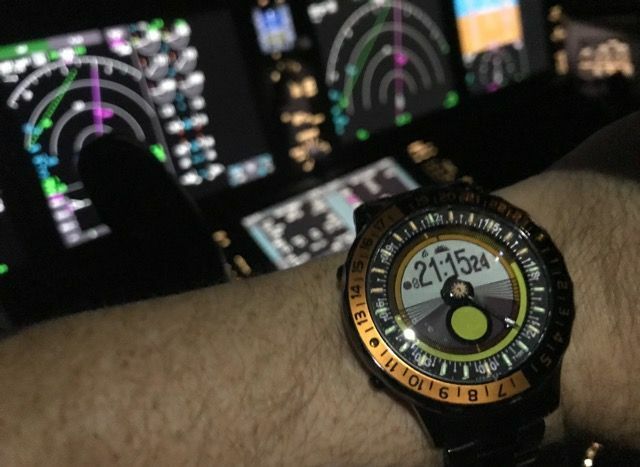 A month ago I was talking to Bjorn Kartomten about my Equilibrium Watch v6 when he honoured me with a request: “Would you care to beta test the World Watch v7?” Of course I said yes, and after wearing the prototype around the world (Boeing 787 Captain) for a month last week I ordered one through the campaign. I have quite a few vintage digital watches but rarely purchase “new watches”. However the new watch collection of digitals includes the HGWC in stainless (a spectacular LED watch), a Star Wars EPD by Seiko, a restored Ventura Alpha (I call this new even though it was second hand), and an Equilibrium Yes Watch V6 which I purchased through a kick starter program (never done that before!). Well YES watch has done it again. 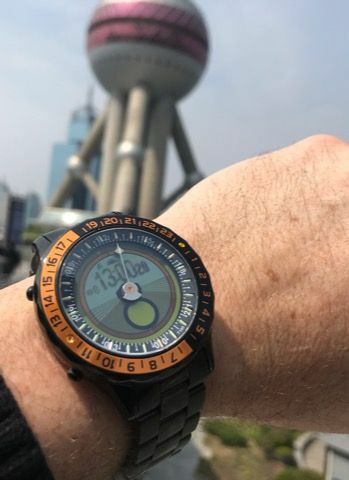 Currently I was sent the new version 7 prototype of the YES watch known as the WORLD WATCH. 2. External bezels, your choice (see website). 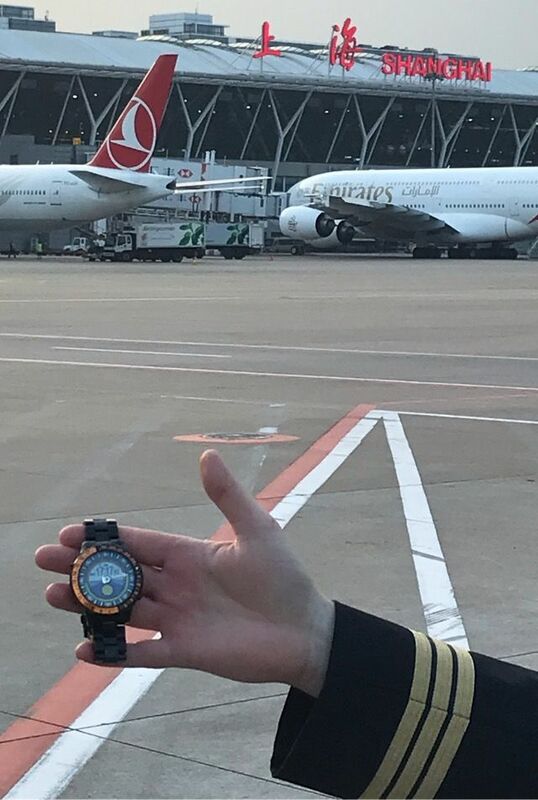 I chose the 24 hour bezel for dual time zone indication at a glance. 3. The ability to search for 673 other cities or when camping to set the LAT and LON of your current position. 4. A countdown timer which can be set to the day, month and year in the future (my retirement date in 2024! Or any important date one can think of. 5. Countdown timer for use in the short term such as a 16:30 minute countdown time for the air time of the flight from Vancouver to New Delhi. 6. 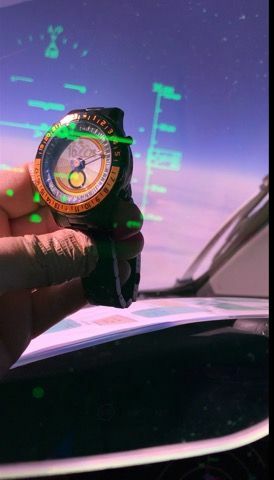 Stop watch for time from takeoff to landing. 7. Day of year, which for a pilot on the North Atlantic would be the TMI for the correct flight plan (TMI is the track message indicator). 9. The tritium tube hour markers are spectacular holding the glow throughout the night and augmented by a backlit LCD display. 10. 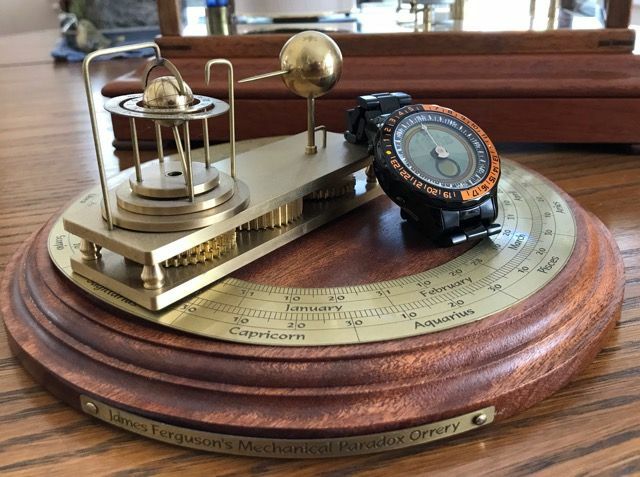 The dial is art in the classic sense, no other statement applies, well, lets say ‘extremely informative’ art. There are a hundred more reasons, all informative, all indicated by various menus and etc; again see the web site. Even though I have a prototype I have decided to back the kickstarter by investing at the intro price for an off the shelf, satin look on 5 segment metal bracelet with my options of LCD (blue) and other design choices. 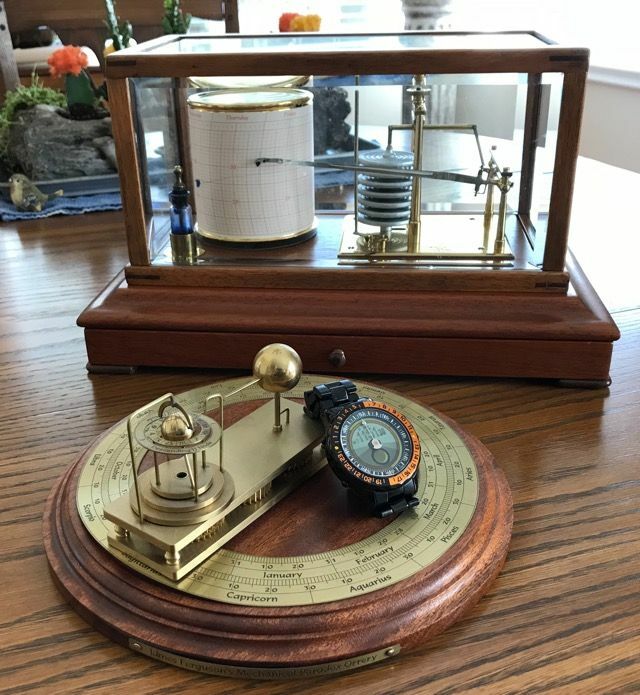 I cannot think of another dedicated watch (not internet connected) that has this many functions. After three weeks I have still not examined every piece of astronomical information packed in the watch. I have been asked about the watch almost daily when out and about as it is striking to look at. The design appears to have renaissance design elements and would look very appropriate strapped to Leonardo da Vinci’s’ wrist! I could go on but I should allow you to check the website for ALL the functions this watch is capable of. I like it, and as I said, even though I have one now (one of four prototypes) I have also invested in another. By the way, I have not been paid for any of this, just asked to beta test the prototype and let Bjorn know what I think and what may be changed or improved. Love the world watch. I have an older version in my collection.